By agreeing with the general terms and conditions, you enter a legally binding agreement and agree to be bound by these general terms and conditions. 1.2. If you do not agree with any of the statements in the general terms and conditions, you may submit a written request to Sefa for different provisions. This can be done by sending an email to info@sefa.nl. If you do not agree with any of the statements in the general terms and conditions, you may be restricted from services provided by Sefa. The association with full legal capacity Studievereniging Faculteit Economie en Bedrijfskunde aan de Universiteit van Amsterdam, located in Amsterdam at the Roetersstraat 11, Room E0.02, registered at the Chamber of Commerce dossier number 40538902. A person who obtained a basic, standard or premium Sefa membership, or became a member in any other way (see section 4.1). All of the information a member provides and uploads onto the Sefa website. The complete technical infrastructure and all of its capabilities that are offered through the URLs https://www.sefa.nl and http://www.sefa.nl. The combination of the member’s email address and password that gives the member access to the Sefa website and his/her account. The legal entity that uses the Sefa website in order to get in touch with potential future employees for the purpose of recruitment, selection, and/or labour market communication. A collection of information and/or data, including, but not exclusively photos, videos and other material that is being communicated by a sponsor. Study Association Sefa for Economics and Business at the University of Amsterdam pays a lot of attention to the information on the website. Possible author’s rights on the content, shapes, images and the program are all with Sefa. If you find any material on the website which you believe infringes any third party or property rights, please contact Sefa. Sefa cannot be held responsible for the information provided on the website. Sefa cannot guarantee that the products, services and activities which are offered on the Sefa website are all available at any time. Sefa does not accept legal liability for any communication and/or information that is or is not provided by Sefa. Sefa will not accept legal liability for any damages resulting from the use of the Sefa website. When becoming a member, you are asked to provide Sefa personal information. Details submitted to Sefa are under the responsibility of Sefa. Sefa uses the information to be able to improve the services Sefa offers and keeps Sefa members updated on Sefa events and activities. Sefa is authorized to provide your details to carefully selected organisations which we think will meet your needs and interests. 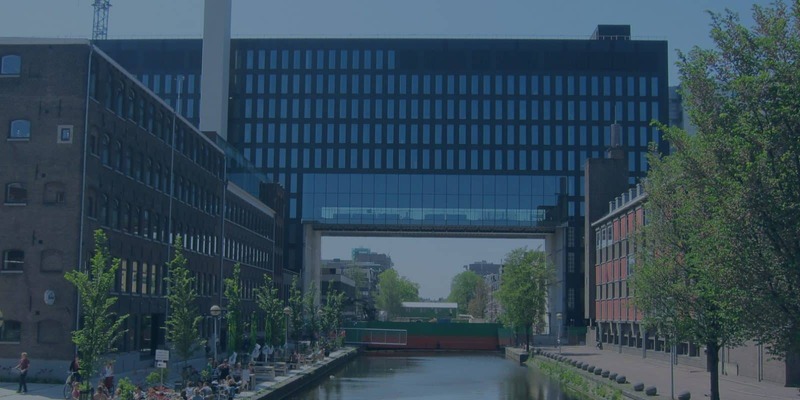 By agreeing with the general terms and conditions, Sefa is authorized to compare your Sefa membership information with the Faculty of Economic & Business (FEB) of the University of Amsterdam (UvA) in order to guarantee updated membership information. You’ll give permission to the University of Amsterdam to receive your membership data and if necessary to update your personal information in the Sefa database, on a yearly basis, for the duration of your enrolment at the University of Amsterdam. You warrant Sefa a guarantee that all the information that you enter in the registration form and/or uploaded on the Sefa website, including, but not limited to the information entered when creating an account in the Sefa website, is accurate and true. If Sefa has a valid reason to believe that the information provided is incomplete, untrue, misleading or incorrect, then she is entitled to delete the information, and if so wishes, to terminate the membership entirely. A member is responsible for the confidentiality of his/her password, which gives access to the member account. It is not allowed for a member to grant access to any third party organisation under any circumstances. A membership is assigned to a designated individual person and is not transferrable. Only students who are enrolled at a Dutch University are entitled to become a member. Besides, graduates of Dutch Universities who have graduated no more than one year to date are allowed to stay a member. In the event that Sefa has a valid reason to believe that a member does not meet either of these criteria, it has the right to terminate his/her membership. If you want to cancel your membership, you have to send an email to unsubscribe@sefa.nl including your name, your student number and a formal statement of cancellation of your membership. This has to be done before the 31st of August of the new academic year. The membership will continue until the end of your fourth academic year (in case of a Bachelor) or the second academic year (in case of a Master), unless you unsubscribe manually. After that year, your membership will be terminated by Sefa. Sefa has the right to terminate a membership for no or any reason, at any time, with or without notice. You need to have at least a free basic membership to participate in a Sefa event. By agreeing with the general terms and conditions, you will become a free basic member when registering for a Sefa event. Sefa retains the right to make changes to event programmes at all times. Sefa will do everything within her power to ensure the offered components will take place. Some Sefa events include a CV selection. Through the use of CV selection, the sponsor can choose students whom match with its preferred job profile and wishes. (i) Sefa handles your personal details very confidentially and will, apart from making your CV anonymous, not apply any changes. In the process of making your CV anonymous, we will remove your contact details (i.e. telephone number, address, city and e-mail). (ii) Sefa can in no way influence the selection of students. Exclusively the participating sponsors will execute the selection of students. (iii) Sefa is in no way responsible when a sponsor in which the student is interested does not select a student. (iv) When there are conflicts within the Sefa event programme, a CV selection component will outweigh a component without CV selection. In addition, individual conversations, breakfast, lunch or dinner are considered more consequential than a case with CV selection. Accordingly, Sefa keeps the right to adjust any overlaps in the student’s timetable. Where possible, these possible adjustments are made in consultation with the student. However, the student’s final timetable and the activities he/she is selected for are indisputable by Sefa. In case of special circumstances, such as the cancellation or relocation of a Sefa event, Sefa will inform the Sefa members as good as possible. In case of the cancellation of a Sefa event because of circumstances beyond Sefa’s control, Sefa is not liable to repay the participation fee. If a withdrawal from participation is being done in less than five days prior to the Sefa event, Sefa is permitted to collect an additional cancellation fee. By uploading or sending data to the Sefa website, you grant Sefa an irrevocable, unconditional, worldwide, unlimited, perpetual and royalty-free licence to use this data, or any part thereof, in any way it seems fit, in some or all media. Moreover, in doing so, you renounce your so-called moral or similar rights regarding the data. In the event that Sefa would sell or transfer its – or part of its – business activities to a third party, Sefa has and maintains the right to also sell and/or transfer your data. By agreeing with the general terms and conditions, you guarantee that you are entitled to make use of the Sefa website, and that you act in compliance with these general terms and conditions. It is explicitly not allowed to use the Sefa website for direct or indirect purposes. That includes using, exporting, saving, and/or processing contract details of Sefa’s sponsors and/or any data and/or information displayed on a Sefa sponsor’s company profile for any commercial purpose. It is not allowed to use the information you receive from either Sefa or a sponsor of Sefa for other than personal objectives. The information may not be used for any other purpose, including duplicating it or making the information public without prior written permission from Sefa. The Sefa website is meant to be used for personal objectives by normal browser-use. It is hence not allowed to use the (data available on the) website or to access the data on the Sefa website through the use of other technology or software. Hyperlinks should lead directly to the context, within which Sefa offers content. It is also not allowed to circumvent and/or to remove any technical security on the Sefa website, or make this possible for others. By agreeing with the general terms and conditions, you accept that you carry the responsibility for the content and nature of all information that you fill out, upload, and/or communicates on the Sefa website. (vi) for spreading any material with the purpose of gaining publicity, promotion and/or advertising without the written permission of Sefa. By agreeing with the general terms and conditions, you acknowledge that all copyrights, trademarks and all other intellectual property rights that are part of the Sefa website, that become and are property of Sefa, will remain property of Sefa and are part of the copyrights, adjacent rights and database rights of Sefa and other applicable rights as trademarks. It is explicitly not allowed to download, copy, alter or make public any files, software and/or materials that are available on the Sefa website for direct or indirect commercial purposes or for any purpose other than those described in article 5, unless prior written permission is given by Sefa. It is not permitted to copy or alter the source code of the Sefa website, to use it as the basis for any work or to try to retrieve the source code in any way or sell, vest, sub-license, transfer or establish any right on the information or source code. By agreeing with the general terms and conditions, you allow Sefa to process the data that you fill out on- or uploads to the Sefa website and to incorporate these into one or more files. By agreeing with the general terms and conditions, you allow Sefa to take pictures of you on Sefa related events, and to upload and use those on the Sefa website or any other promotional outings. Whenever a member wants to remove his or her personal data from the Sefa membership database, this can be done by sending an email to unsubscribe@sefa.nl with a formal statement to remove all your personal data or by filling in the “Delete your account” form in your account on the website. Whenever you become an active member of Sefa (join a committee), we can reject your request for removal of personal data because this is a crucial part of our organizational working. The general terms and conditions is governed by Dutch law. Dutch law is applicable to all contracts and agreements that involve Sefa as a party. All disputes which may arise from the general terms and conditions shall be settled by the competent Dutch court. Sefa is authorized to, yet not obliged to, present potential disputes that cannot be settle or concluded in any other way, to the Dutch Court in the living area of the location of Sefa. In the event one or more terms of the general terms and conditions are void or voidable, the concerning term will be replaced by a valid provision that has the same effect. Sefa has the right to change the general terms and conditions of Sefa in any moment in time when Sefa considers this as necessary, without prior notice. The new general terms and conditions will be published on sefa.nl and members are recommended to check the website regularly. If you have any questions or complaints, you can contact Sefa at all times by sending an email to info@sefa.nl. We will respond to you as soon as possible.